You all know about my love affair with the rose. But never have I ever crafted a perfume so powerful, so pure, so energetically connected to this majestic flower! 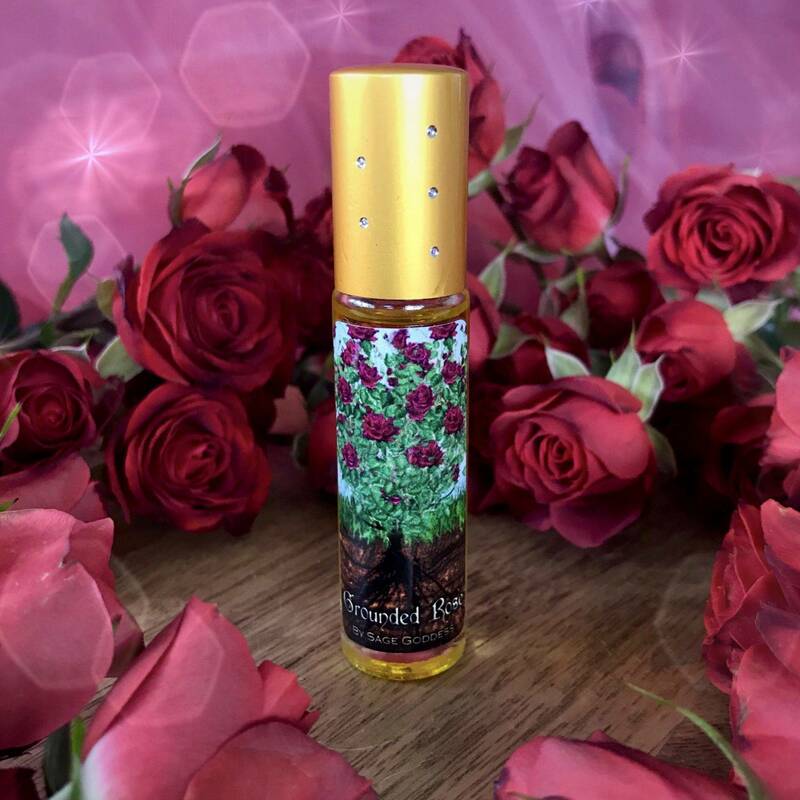 Made from only the purest and truest ingredients, Grounded Rose Perfume is the real deal if you too are enamored with the sweet and seductive rose. Grounded Rose is a complex combination of rose oil absolute, rose essential oil, and three different kinds of frankincense. I guarantee you have never smelled anything like it before. It will wrap you in a grounding embrace, connecting you to the Earth and all her beauty. Rose is associated with the element of water and the planet Venus and has been used for ages for beauty, love magic, protection, and peace. Each bottle is infused with a garnet chip stone, connecting you to even more passionate, loving energy. Anoint yourself with this blend before love rituals or meditation. Feel your heart being opened and healed, ready to receive the abundance of love the Universe has to offer. Rest still in the wisdom that Mother Earth is holding, nourishing, and protecting you in all that you do. And so it is. This listing is for one (1) 10 ml bottle of Grounded Rose Perfume. Yours will arrive lovingly parceled for your enjoyment.